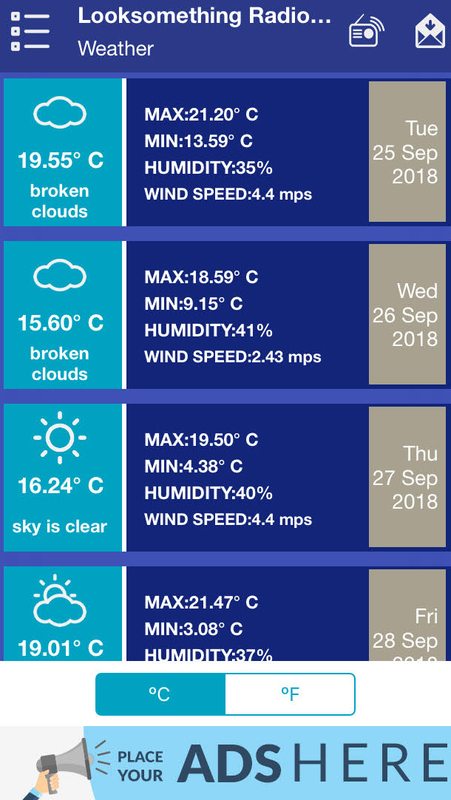 Weather is an Addon available for all our mobile app plans. You can purchase this Addon by logging in to your account and clicking Get Addons. Getting this Addon will allow your mobile app users to stay updated and receive a 7-day weather forecast about local conditions. Users will be able to view maximum & minimum temperature, either in Fahrenheit (ºF) or Celsius (ºC), Humidity and Wind Speed in miles per second.